Our kids love to draw, from Miss T's doodles through to D's fantastic creations of characters and worlds. He has recently been drawing characters from books and films, too, so what better way to develop that creativity than with a bit of help from the new Disney Art Academy for the Nintendo 3DS? There are 40 lessons to follow, and 80 wonderful Disney and Pixar characters to learn to draw (including Nemo, Elsa from Disney's Frozen, Lady and the Tramp and many more). Right from the first lesson you start with a blank sheet of paper and end up with a recognisable Mickey Mouse, using just your stylus and following the on-screen tips and guides. J loved Disney Art Academy, and it was difficult to prise him away for a quote of what he thought of it... "I think it's fun. I really like the way you can learn to draw real Disney characters!" As you progress through the levels, you are taught more advanced techniques, like shading and character expressions - all the while supported by the on-screen tips and your personal instructor Professor Ian. And, being Disney, there is of course the added magic of stars, glitter and clouds that you can add to your artwork. As well as the lessons, there is also a free-paint mode where you can let your creativity run. 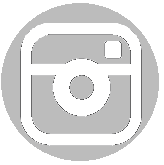 Pictures can be saved (to the SD card) and printed or shared with friends. Personally I loved seeing the simple steps to creating the quite complex characters we all know and love, building up in layers from a blank background, then the outlines and basic building blocks, through to the shading, expressions and finishing touches. This is definitely one for all budding artists. You can find out more about Disney Art Academy for the Nintendo 3DS from their website. As Nintendo Family Bloggers we were sent a download copy of Disney Art Academy for the Nintedo 3DS for the purposes of review. All opinions are our own. In case you hadn't already spotted, 10-year old D loves reading. And reading. And reading. He has recently been reading Percy Jackson and the Lightning Thief, which he completely loves, and he has been busy explaining the story to me. 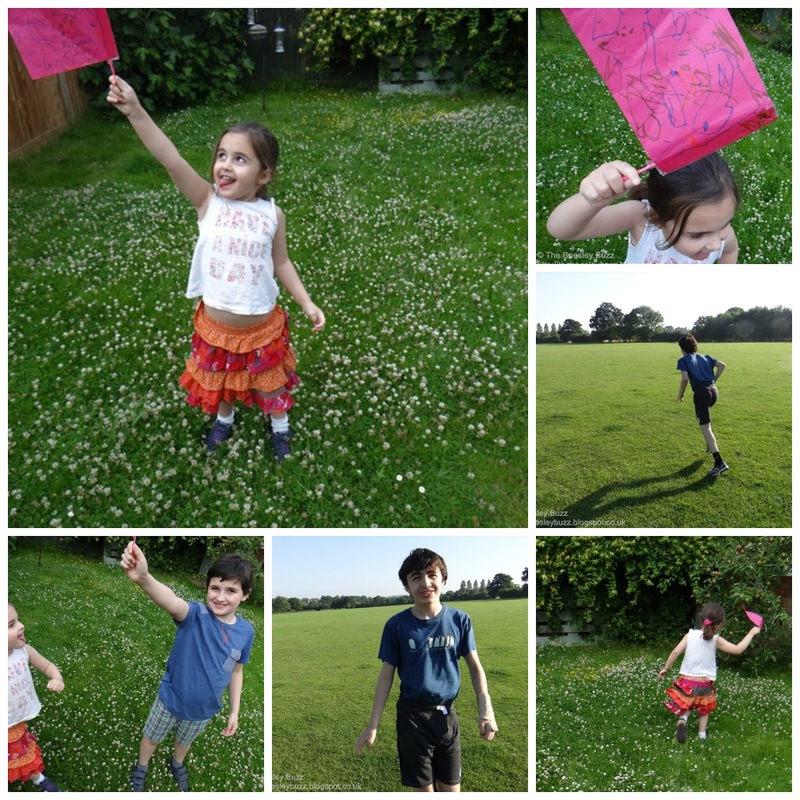 So you can imagine his delight when we were asked to get outside and play Capture the Flag in celebration of the latest Percy Jackson book - Trials of Apollo. The rules of Capture the Flag are pretty simple - two teams, lots of space, a base for each team (where you place your flag) and then lots of running around to try to capture the flag from the other team before they capture yours. Fans of Percy Jackson will know the game features in the story, with Camp Half-Blood playing once a week. D was also thrilled to receive a package - a copy of the Lightning Thief and his own Camp Half-Blood t-shirt, thanks to the publisher. 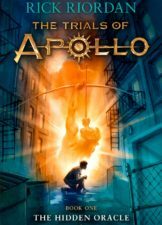 Percy Jackson - Trials of Apollo is available now from all good bookshops. We were sent a copy of Percy Jackson and the Lightning Thief, and a Camp Half-Blood T-shirt and asked to play Capture the Flag in celebration of the release of Trials of Apollo. All opinions are our own. It's hard to believe that it just four years ago that the country was caught up in Olympic fever as the Games came to London. Back then J loved playing Mario & Sonic at the London 2012 Olympic Games - so much so that he was desperate to get his hands on the latest Rio 2016 version. He assured us it was different, it was bigger, better, bolder and more exciting even than the previous fabulous offering from Nintendo. So when the lovely people at Nintendo UK asked if we would like to review Mario & Sonic at the Rio 2016 Olympic Games for the Nintendo Wii U, we couldn't say no. And J was right. We loved 2012... we love 2016 even more. There are some favourite track and field events, of course, but the controls are simpler and more fun. Most of all, though, we love some of the new events - rugby sevens being top of my list, and BMX being D's. As we've come to expect from Nintendo, there's more than one way to play. As well as the 'classic' games, there are multiplayer options (play against up to three others, or work together in team sports), a Duel events (battle a friend in rugby sevens, football and beach volleyball with added Bullet Bills and the like, to create frantic and fast-paced challenges), and the Heroes Showdown - a knockout game moving from one event to another. Mario & Sonic at the Rio 2016 Olympic Games is fun, bright and exciting. I was amazed in the archery when our resident gamers (J and D) came second and third to me... but the next round saw them mastering the challenge and completely thrashing me! One of the great things about this game is the variety. With so many events, loads of characters (plus you can play as your Mii) mean there really is something for everyone. And with games lasting from just a few minutes upwards, there is always time to fit in another event! More information about Mario & Sonic at the Rio 2016 Olympic Games from Nintendo can be found on their website. 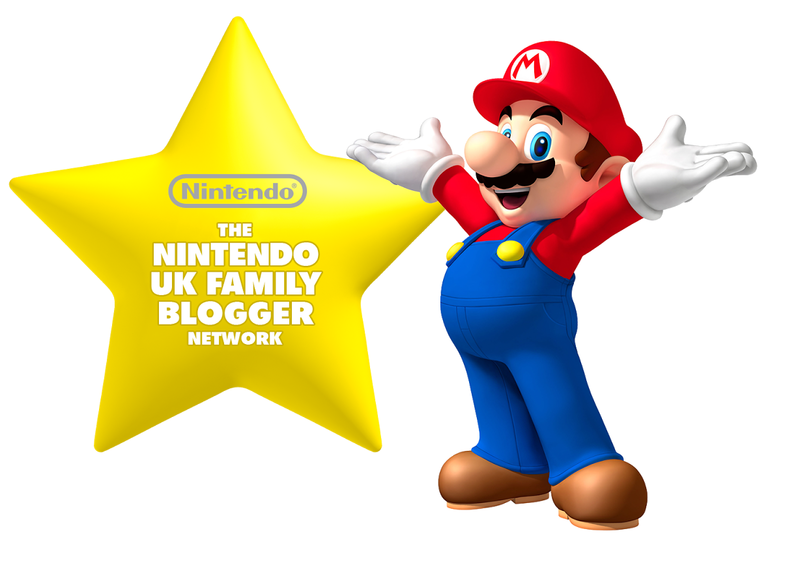 As Nintendo Family Bloggers we were sent a download copy of Mario & Sonic at the Rio 2016 Olympic Games for the purposes of review. All opinions are our own. Make a new best friend with Teddy Together! Miss T was beside herself with excitement when we told her we had a new game for the Nintendo 3DS just for her - and Teddy Together has become a firm favourite over the past few weeks. Her older brothers have been getting into the game, too, as they've been helping her learn how to play - I think they've secretly enjoyed taking part! In Teddy Together you are given your very own (virtual) teddy bear. You name him, care for him and get to know him. As you spend more time with him he will start asking questions about you - your name, about your family, your favourite foods. Teddy never forgets what you tell him (although you can change an answer if you need to!) so can talk to you about what you've already said. Once you have answered enough questions, you can increase your friendship level so you can unlock and do more things with your new friend. Give him a wash when he gets dirty, cook together, tend to the garden and grow crops. There are no in-game purchase options, and no wifi or internet connectivity, making the game a great safe place for your little one to play. 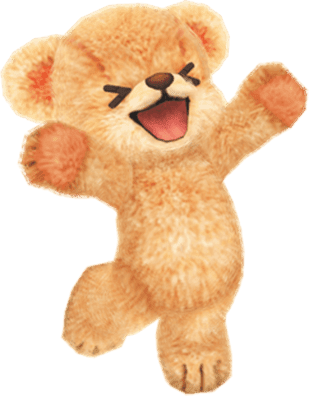 Teddy will also only ask a certain number of questions each day, and only be interested in certain activities (like cooking) at certain points (when he is hungry!) so this is great for shorter attention spans. As Nintendo Family Bloggers we were sent a copy of Teddy Together for the purposes of review. All opinions are our own. Return to the Isle of the Lost is the second Disney Descendants novel, The Isle of the Lost being the prequel to the Disney Channel Original Movie Descendants. The Isle of the Lost novel by Melissa De La Cruz spent a whopping thirty-seven weeks on the New York Times best seller list - fifteen at the number 1 spot! Can you give me us overview of this book, The Return to the Isle of the Lost? The Isle of the Lost is where these people came from; Mal, Evie, Carlos and Jay are the children of the evil people who had originally been sent to the Isle of the Lost. Now living in Auradon, they start to get messages to go back to the Isle of the Lost. So they return to the Isle of the Lost and get caught up in quite an adventure. Do you need to have read the original Isle of the Lost book to read this book? No because I haven't read the original and I still enjoyed this book. It's a whole story on its own. The main characters are Mal, Evie, Carlos and Jay. Mal's mum is the Disney baddy Maleficent. Evie's mum is the evil queen. Carlos' mother is Cruella de vil of Dalmatians fame and Jay's dad is Jafar from Aladdin. So are they baddies too? Sort of. They were before but they went to Auradon and learnt to be good. So how does this link to their evil parents? Their parents are up to no good as they are on a quest to find their talismans and get them back. It says in the book that "every villain has a talisman". The reason they want their talismans back is to destroy Auradon. Without giving too much away can you tell us anymore about what happens? Well it's up to the kids to save the day. That's all I'm going to say so I don't spoil it. Finally would you recommend this book to others? Yes definitely. Even though it's based on the Disney villains, it's not a "childish" book. It's great for kids around my age and for teenagers. Silentnight have done a survey into holidays, to launch their Dream Holiday promotion with the chance to win a dream holiday along with many more prizes like iPads, bikes and experience days. Look out for promotional stickers on selected Silentnight Duvets and Pillows in participating retailers. Then visit the Silentnight competition entry form page to enter your unique reference number to enter the draw for a chance to win. You have plenty of time to enter the dream holiday promotion as that one runs until 19th December 2016. Now here's where the research meets reality. According to the survey, Six out of 10 Brits agree that they miss their bed more than their FAMILY, when away on holiday. I am one of those people! We've had holidays ruined and cut short when the beds have been of poor quality and one of my biggest fears when booking a holiday is that the beds won't be comfy. We've stayed in luxury hotels where I've ended up sleeping on the floor because I miss my own bed so much and the bed there just didn't come up to scratch. When thinking of holidays I would not have imagined that a good night's sleep would have taken such a high priority but it does. A whopping 75% of respondents said that fluffy pillows and duvets were more important than a balcony or mini bar in the hotel room. So with that in mind, Silentnight have kindly offered one of our readers the chance to win a set of pillows and a double duvet by completing the rafflecopter form below. If you are not familiar with rafflecopter you can find a great guide here. Please read the terms and conditions on the rafflecopter form carefully. This rafflecopter giveaway ends 30th July 2016. The Silentnight Dream holiday competition is a purchase necessary competition and you can find more details here. Closes on 19th December 2016. 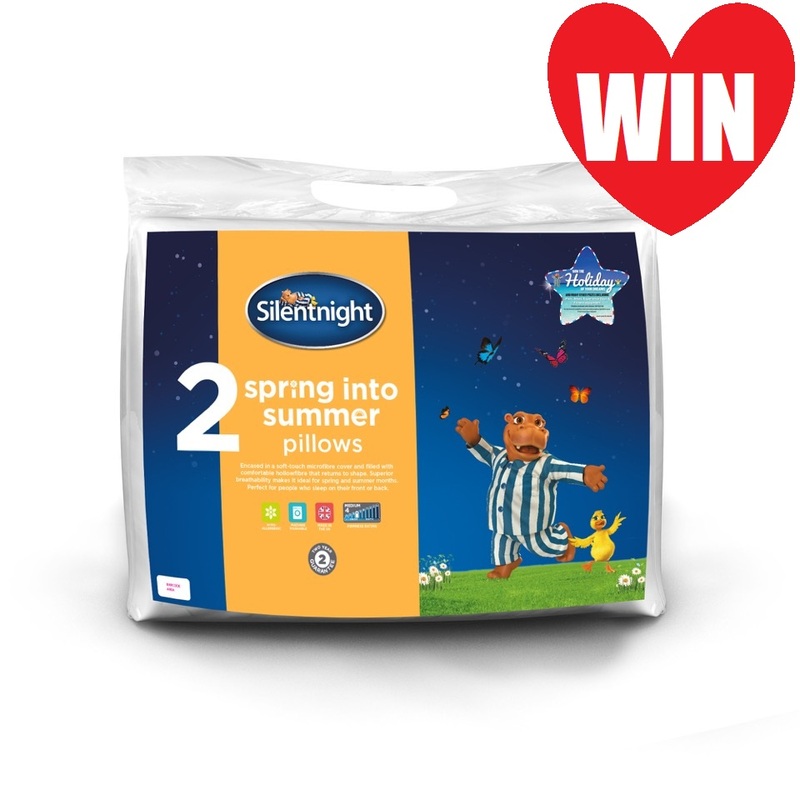 The rafflecopter blog giveaway is to win a set of pillows and a double duvet and Silentnight and their representatives are responsible for the fulfilment of the prize. Closes 30th July 2016. We have NOT been incentivised to write this post - but as loyal and longterm customers of Silentnight, we loved the idea of one of our readers winning Silentnight products to see how great they are! I've totally fallen in love with the Clean Cakes recipe book - The day after I got it I made the Blueberry lemon mousse cake and since then I seem to be working my way through as many of the recipes as I can. It has begun to feel a bit like a 'bake along' Julie and Julia style. Although I do like a challenge I could do without the pressure of actually deciding to bake every recipe but I was going to make White Chocolate truffles which I ended up making into White chocolate bars after the Dark chocolate turned out so well. You can find a similar recipe online here by using the white chocolate section of this recipe. I actually just made half by halving the recipe and it took all my willpower not to eat the whole lot in one sitting as it was delicious! Historically white chocolate used to be my favourite type of chocolate but in recent years I've preferred to opt for dark chocolate in an attempt to get a high cocoa content and less sugar from eating chocolate. But this recipe made me fall back in love with white chocolate. I sprinkled some of the bars with raw cacao nibs, roasted hazlenut pieces and freeze-dried raspberries and the other bars with cacao nibs and Pineapple and Mango Nim's fruit crisps. And wow what a success! Nim's Fruit crisps are amazing as they are air dried with nothing added to them and they are so naturally flavourful - they worked so well with the white chocolate. I think pistachios would have also worked well as well as goji berries or cranberries. So I am keen to make these again to try out different flavour combinations. Evans Lichfield, the British family-run home furnishings business that has been going since 1988, got in touch recently to ask if we'd like to review one of their cushions. They work with a host of in-house artists as well as British artists to create their designs, with a wide range of products available including cushions, canvas wall-art and fabric-by-the-metre. Looking at their website, I was totally spoilt for choice. 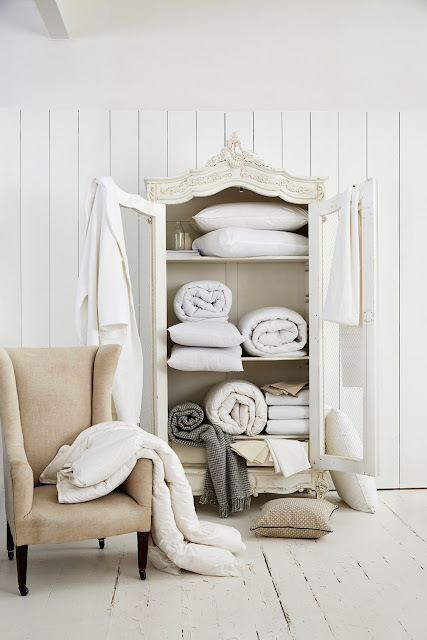 I adored the Becky Brown designs in one of their new ranges. I thought the Sally Swannell range was also gorgeous. In the end I opted for a classic design of cushion that I've always wanted - The Union Jack. So my first dilemma was choosing a cushion from such an incredible range. And now for the second dilemma. Where would the cushion go in my home. I've disliked the style of our sofa ever since we got it but as it is a specialist back pain sofa from specialist Back pain store Back in Action we've had to choose practicality over style for the sake of our backs. Thankfully it has helped so it's proved to be a worthwhile decision. So this Evans Lichfield cushion could be used to add a little je ne sais quoi to an otherwise dull and ugly sofa? 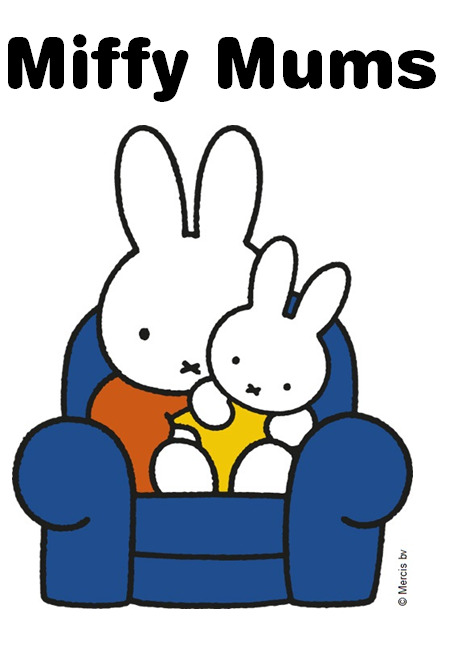 Or it would make a great addition to Miss T's bedtime story chair where we snuggle up for stories each evening? 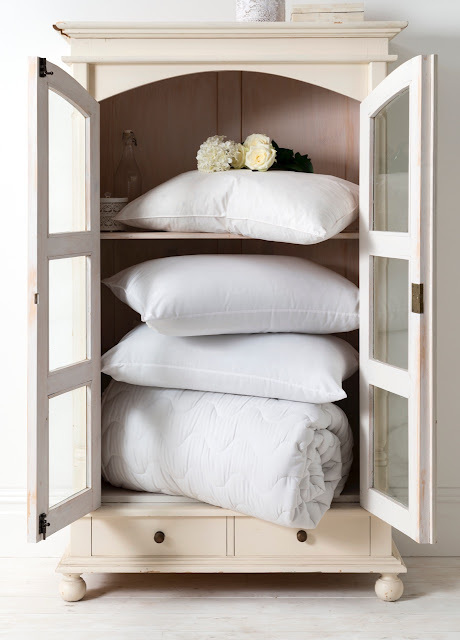 Or it could be an extra cushion to add a splash of character to our bedding? Three locations all worthy of a new cushion. Which will it be? I haven't quite decided to be honest. But I have to say just how pleased I am with the cushion. Not only is the Union Jack flag an iconic and striking design but the actual quality of the cushion is great. The flag part is made of a woven cotton fabric so you can feel the actual texture of it giving it a really high quality feel. Inside a label reminds you of care instructions which is important for us as the kids can make things grubby and I often forget whether something is washable or not. This one is dry clean only but there are many cushions from Evans Lichfield where the covers are washable. The great thing is that this information is available on their website so you can check before you buy. I also love how it comes as a complete cushion with the actual stuffed bit of cushion inside the cover. I've been caught out before buying cushion covers and then not being able to find a properly fitting inside cushion for them. It always feels nice to treat your home to a new touch like a cushion to give a room a little lift without the expense or trouble of a full room makeover. Cushions like the Evans Lichfield ranges with a choice of artwork, patterns and styles, also make great gifts for birthdays, Christmas and special occcasion days e.g. mothers / fathers day where you can lovingly and thoughtfully choose a cushion to match the themes that the recipient is into. Whilst the cushions are not available to buy directly from the Evans Lichfield website, there is a stockist page where you can find your nearest stockist. Alternatively, I have spotted some of their cushions available on Amazon. If you wish to find out more about Evans Lichfield and their gorgeous range of cushions you can find their website here. You can also find them on facebook and twitter. Disclosure: We were sent a cushion from Evans Lichfield for the purpose of review. All opinions are our own. Confessions of a summer parent...The summer when rain reigned! 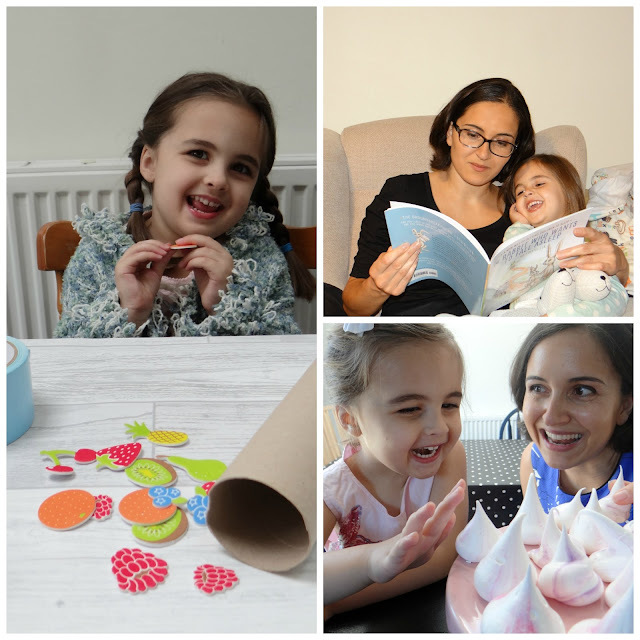 It's your job to keep the kids busy and occupied whilst still somehow getting through your own ever-growing 'to-do' list. But hey, at least it's summer. The kids can play outdoors in the garden whilst you get on with your jobs...preparing dinner, washing up, a spot of housework or catching up on emails. WRONG AGAIN.... We have to rely on the great British weather during school summer holidays and that can often mean a stretch of long RAINY days. What then? So as much as I'd like to pretend that I'm the perfect parent and that we spend any rainy summer days cooking together, reading stories, or doing crafts, the truth is that it isn't always like that and sometimes it's ok to do what you have to do to get a little break from the kids and restore your sanity to enjoy #TheGoodStuff together the rest of the time. This post is an entry for BritMums Confessions of a Summer Parent Challenge, sponsored by Anchor. Anchor kindly sent me a voucher for a pack of Anchor spreadable and a pack of Anchor cheddar. All opinions are my own. Find out more about the challenge here. Weddings, Weather and Wimbledon - A resolution that's taken 17 years to happen! This year is our 17th wedding anniversary. What on earth has that got to do with Tennis I hear you ask. Well 17 years ago was the last time that we played tennis. 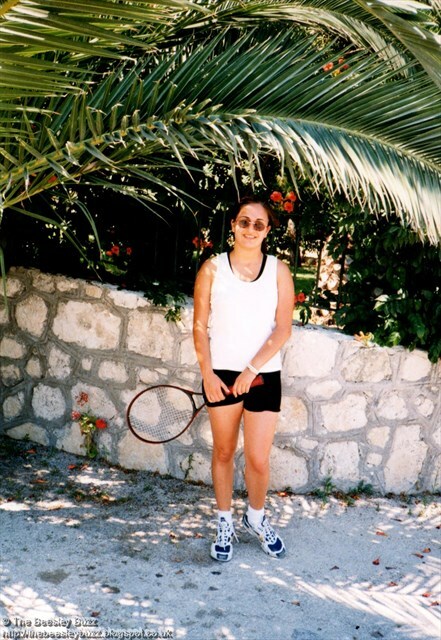 It was on our honeymoon in Zante in the hot August heat and all the locals thought we were crazy to be playing tennis when it was just so hot. I remember that particular year of our wedding well. In the run up to our wedding everyone was 'weather watching' in the hope of sunshine for Wimbledon. Whereas I was watching the weather because I wanted a sunny wedding day (ended up with sunshine and HAIL but hey-ho it made it memorable). 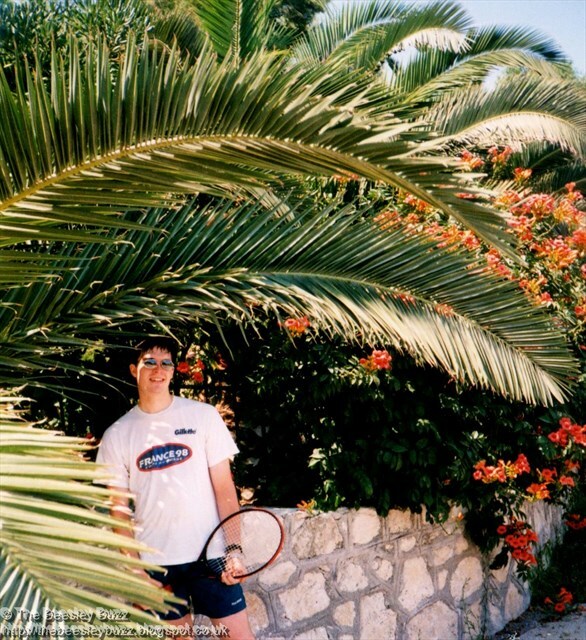 Upon returning to the UK we vowed that we'd make tennis a part of our lives again. We'd played on and off through our university years as they had fabulous sports facilities and brilliant tennis courts there. Where we are living now we have some fantastic tennis courts in our local park and plenty of other tennis facilities as part of various local health clubs. How hard would it be to pop to the park after work in the summer months for a spot of tennis? But somehow there was always an excuse. Something that took priority. At first it was work commitments - having to work late or getting stuck on the commute home. Then the kids came along, 1,2,3 and before we knew it, 17 years had flown by and we still hadn't played tennis!!! All set for a game of tennis a whopping 17 years ago! This year we decided that this was the year to put off making excuses and just get on with it. As soon as we saw that The Great British Tennis Weekend was happening on Saturday 16th July and Sunday 17th July we booked straight away. These are free tennis sessions running across the country and you can find out where your nearest one is here. It was really straightforward to book and there was something for everyone - We even found family sessions that Miss T can join in with even though she's only 4 years old. Rackets and balls are provided and there are sessions to suit various ages and abilities. We are really looking forward to it and I just know the kids will enjoy it too. This time we're determined to stick with our tennis resolution and not leave it another 17 years before playing again! I’m working with the Lawn Tennis Association on their #GBTW campaign. Sign up for your FREE tennis activity here. There are sessions running across the country on Saturday 16th July and Sunday 17th July 2016.